We are All For One, and so is The Brew Kettle Production Works, which has been making championship-level IPAs for a long time. It’s no surprise that this Session IPA, made in conjunction with the Cleveland Cavaliers, is a perfect sports beer. The head is impressively full, often not the case for a session IPA. Lots of citrus such as mandarin orange in the nose, and the taste is complex, with soft malt flavors of toffee and bread present. A solid finish offers up both citrus and pine. So the championship-level beer is ready for you, Cleveland. Now go win a title. 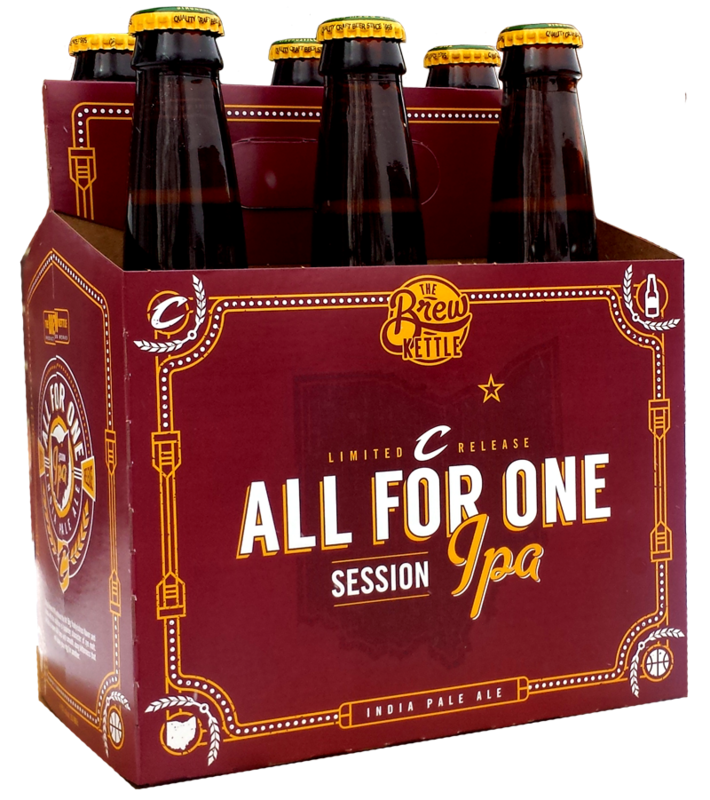 All For One is only available at Quicken Loans Arena, Heinen’s Fine Foods in downtown Cleveland, and the World Beer Festival—Cleveland on June 13. Chris Rice is the President & Publisher of All About Beer.